I am always on the hunt for healthy drinks for the boys as a little treat when they get home from preschool and school. When I was asked by Bensons to try out their Joosed Juniors I knew the boys would happily oblige! The juices arrived and we had kindly been sent three flavours - blackcurrant & apple, orange & apple and apple. They are packaged in fours with each bottle being 250ml each. Made from pure Spring Water and real fruit juices. Full of fruity goodness and NO ADDED SUGAR, and therefore better for you. Joosed! uses only the finest natural ingredients, selected because they taste so good. Joosed! drinks are 100% free from preservatives or artificial flavourings. With the bottles being 250ml they are the perfect amount of juice for the boys and not too much. On the day that they arrived the boys had some friends over after school so I thought what better time than to try the juices out. We started with the orange & apple ones and they were a huge hit, all four children loved them and they didn't take long to drink! I had a little try and they were lovely, you could really taste the orange & apple. The other juices have been in the fridge and are a great convenient drink as there is no having to mix them with water, as that has already been done, and they are very thirst quenching. They are great for children and adults as the drinks are full of flavour. The drinks act as a brilliant lunchtime drink for both when at home or out and about. The boys enjoyed a bottle with their lunch just the other day, this time trying the blackcurrant & apple ones, and again being a huge hit and they loved them. 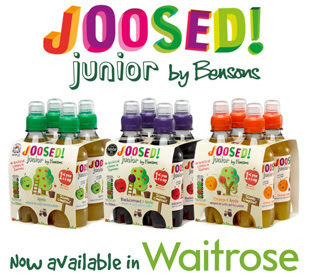 Bensons have kindly offered one of my lucky followers to win a case of Joosed Junior, for you to try out yourself. All you have to do is follow the rafflecopter link below to be in with a chance of winning. Good luck! A winner will be chosen at random via rafflecopter. Competition starts at 12am on 29/10/16 and ends 12am on 05/11/16. The winner will be announced within 2 days of the competition closing. The winner has 7 days to claim their prize. If the winner fails to claim their prize within 7 days an alternative winner will be chosen. Since Finley started school in September I have been planning our October half term as I wanted to make the most out of the days that we had together. London has always been somewhere that we have wanted to take the boys and Finley in particular has been very interested in London. When the opportunity came up to go to Kidtropolis at the London Excel during October half term, we thought we would take the opportunity to make a trip of it and are going to London for a few days. Break Records with Guinness World Records Live! Swim with a Virtual Reality whale! There really does look like there is something for everyone so why not take a look at their website, www.kidtropolis.co.uk for more information. The Transformer was easy to get out of the packaging which is always a good start because one of my pet hates with children's toys is the amount of packaging and how it is secured in the box. This was unleached rather quickly and the boys got their hands on it and wanted to turn it into a lorry. This is where we hit a bit of a snag as Mummy isn't that great at these sorts of things and I didn't really understand the instructions. The boys and I tried but we were unable to turn it into a lorry but they were still happy to play with it as the robot. With its sword, flashing lights and sounds it was the ultimate toy for my two and was hours of fun. A few days later we had my father in law round and I thought what better person to turn it into a lorry than him, and he did. With no instructions he turned it into the lorry from the robot but he did say that it was a little tricky and the joints were a little stiff, which I have put down to it being new and not being used before. The Transformer can do so many things and the boys really enjoyed figuring out all of those things. They have since turned it back into a robot and I have figured out how to get it back to a lorry. The flashing lights and sounds were a big hit with the boys and it has had lots of playing with and is sat pride of place on a chair in Finley's bedroom, ready to be played with next time. I think the 5+ age label on the toy is the right age as it is very fiddly and needs a bit of concentration. The price for the Transformer is £49.99 in Smyths (at the time of publish). I can not quite believe that it was 7 weeks ago that we waved Finley off to Primary school for the first, for his first day in reception class. The time has flown but it also only seems like yesterday and he has already come on leaps and bounds. We are all so ready for some family down time and to just chill out for 10 days, sit in our pyjamas until 1pm and eat boiled egg for breakfast (as this is pretty impossible to do on a school morning!). The past 7 weeks have been a huge learning curve for me and it has taken us a lot of organising to get our routine sorted and for me to get used to the new attitude Finley has brought home. With this in mind I wanted to congratulate myself, and other parents, on surviving the first term, be it the first year in reception or back to school after the summer. The daily struggle to get our children dressed! Every morning, yes EVERY morning, I get the same response and throw himself on the floor ordeal when asked to get dressed. The very first day of school. It was emotional all round but we made it through and now that seems a life time away. The endless ParentMail emails and notifications. Donations for dress down days, activities during the school day and general fee's that come with school. Dress up days! We have just had one of these and I may have gone over the top but I was pretty impressed with my effort, haha! The before school rush to get out the door. Even though we live literally just across the road from the school I still find myself turning into sergeant major with the orders of 'shoes', 'coat', 'bag'! The attitude! This has got progressively worse as the half term has approached with the tiredness kicking in, for both of us, and the mental tiredness taking it toll. I have been shouted at, moaned at and basically talked to like a piece of rubbish. Fun times! The settling in times for the first few weeks. For us we had 3 weeks of these and there was lots of jiggling about and getting to and from places. The very first parents evening. I wasn't entirely sure what to expect but it went well and to be told Finley was very well behaved and that during story time he sits very still was brilliant to hear. As long as he is being good at school I can take the attitude at home. Not having a clue what they actually did that day. I honestly can say most days I know about 5 minutes of Finley's day because he either won't tell me or is far to busy once home to tell me. The homework responsibility. Finley hasn't been bringing much home but there are a few things to do at home and the weight of that is huge. After going to the parents information evening I feel I want to do my very best at home without over loading him after a long day. Making new friends. This has to be one of the things that I was really worried about when Finley started. I worried that I would be in the playground on my own with no one to talk to but in no way did that happen. Everyone was so friendly! The time between home time and tea time, and then tea time and bed time. This time has been a strange one to negotiate as they are mentally tired but still want to bounce of the walls and it's not enough time to actually do something proper. The first term!! High five to you all as we made it. Now lets chill out for a week before the mayhem of the Christmas term starts, cheers!! Granted, they don't get much homework in reception class that they are required to do every day but they do have a little bag of 'goodies' to aid their learning and to help support what they are doing at school, at home. In the bag Finley has come home with is some reading books, laminated activity sheets to aid them in their writing and some activity sheets on the letters that they are learning at school. The books that are coming home at the moment don't have words in as they are teaching them to study the pages as this is a great starting block for them to help with their reading. They have said that when children struggle with words they will search the pages for clues so if we start off with this they are building a great starting block. Finley loves listening to books before bedtime but has never shown any interest in reading them himself, until now. Since he started school he has been picking up books and making up the story from memory and from the pictures, a huge development leap I feel. We were told not to push homework as they want learning to be fun so I tried to read with Finley one evening after tea and he really wasn't that interested. I didn't want to push it as he was tired and had been at school all day. so we put the books away and I said we would try another day. The next morning he woke up and once he was ready for school wanted to read his book, which I was very pleased to oblige with so we sat down and he read us the story. I had seen from his reading record book that he had already read this book and he read it to us with ease. He knew from the pictures and memory what the gist of the story was and read it brilliantly to us. The next day he was very keen to do some more work from his folder so we got out the laminate card with his name on and he wrote this by following the arrows and numbers to show him how to write his letters properly. He was then very keen to do his numbers so I got the laminated card out for this and we went through this together. He has also since read the other book which after I described the story from the pictures, he from memory did the say. All if these have been in the morning once he is dressed and ready for school. This seems to be the time he is more interested in it and will engage in the activity properly. I make sure the television is off and there are no distractions. I also praise him for every little things he does as I feel this will make him want to learn more and for me at the age of 5 everything they do learn is huge for them! This is all new territory for me and the prospect of homework fills me with dread but at the moment things are going great. When it comes to homework I don't want to interfere too much and I also want to help, I think I am going to have to find the balance between the two as we go on. If there was one toy as a child that I can remember, that would be the Furby. My brother and I had hours of fun with our Furby's and back in those days they were your simple furry creature that you could cuddle and feed. When I was told a Furby Connect was on it's way to me I was just as excited about trying it out as I was about Finley and Noah getting to enjoy the Furby as I did years ago. Our Furby Connect arrived and I couldn't wait to unbox it. I have to admit that I waited for the boys to be in bed to set it up, just so that I could get to grips with it before they played with it. Because as everyone with small children knows, children don't wait and children do not want to read instructions! The Furby needed 4 AA batteries which we had in the draw and as soon as they were in, the Furby came to life and I was able to have a play. I fed and tickled him as I waited for the Furby Connect World app to download on our iPad. I spent the evening figuring out just what the Furby does and how it works with the app. The first time you go into the app, as the Furby is Bluetooth you will need to connect the two via Bluetooth so they can work together. Once connected you will name your Furby, each name has a meaning so you can choose one that you think suits your Furby best. Once the app had launched and the Furby was connected to the app I started exploring the app to see what it did. When you have both the Furby and app on, whatever you do on the app the Furby will interact with it. As you go around the app you collect Furblings which will help you collect things to help you play the game such as medicine to make the Furby's better and food. The more you play with the app, the more Furblings you will hatch and the more things will open up for you to play with. Once I had sussed out the Furby and how it worked with the app, I let the boys have a play with him and they absolutely love him! Finley who is 5 understands a little more about what the Furby does and that you can play with it with the app. Noah just loves the cuddliness of him and also that he would talk when you put your finger in his mouth. Furby Connect comes with a sleep mask that you put over his eyes and it will make him go to sleep when he isn't being used, I love this idea and it's great for when I don't want to boys to be playing with him as I have said when Furby is asleep we leave him alone. We opened up the app and woke Furby up so that we could start playing with them together. The one thing that the boys found hilarious is that you help the Furby do a poo! The Furby will tell you when it needs the toilet, by saying it or making a sound which the boys instantly knew he needed the toilet lol, so you head over to the toilet in the app. As the Furby has Bluetooth enabled it knows when the Furby is near the iPad so it asks you to hold it over the toilet and help him poo. For my two boys this was hilarious and they had such fun doing this. Once Furby has done a poo you will flush the toilet and then get back on with the game. The other thing Finley liked to do was to use the food canon to shoot food at the Furby. If food got stuck he would be asked to help Furby which is a great way to interact between the Furby and the app. The Furblings will be walking around the app and you will use them to collect things, as well as you need to make sure they are all ok. Sometimes they will be hungry, they might need cleaning or sometimes they might be sick but you can help them with the things that you have collected while playing the game. We have only been playing with it for a day so we still have a lot to learn. There is a TV screen in the centre of the app which enables you to watch videos with your Furby. 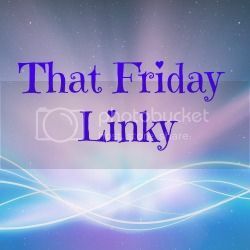 Finley & Noah loved doing this as they are big YouTube fans and I loved this as the app will find child appropriate videos for them to choose from and while the video is on the Furby will interact with the children. As well as YouTube videos there is a Furby music video which the Furby will dance and sing too which Finley and Noah joined in with too. The Furby has hours of fun in it and there is so much to do with it. The more you do with it the more the Furby will learn. The brilliant thing is that you can also play with the Furby even when the app isn't open so it is like a little friend for the boys. As the Furby talks it will wriggle it's ears and wriggle from side to side. The light on the top of its head will flash when there is something new to do in the app or one of the Furblings is ready for you to go and collect something. I was mesmerised by the eyes as because they are computerised they are so life like and it also meant that they can do so many things. The brilliant things about the Furby being Bluetooth enabled is that it can be updated regularly with new and exciting things. The app is also brilliant as it is always evolving and there are new things on there everyday so they boys aren't going to get bored of it, it is also a brilliant thing for me to help them with! I have long admired beautiful artwork pieces on market stalls and on NotOnTheHighstreet, which I have since learnt are called swatches, but have never actual purchased one. I have never been too sure what I would go for and they in my eyes are more of a gift you would buy for someone rather than purchasing one for yourself. So, when I was contacted my Bertie & Jack and asked if I would like to review one of their pieces I literally jumped for joy as they are stunning! While looking for the design and swatch that I was going to go for I also had a look at what Bertie and Jack were all about and their story is brilliant, take a look here. We have recently moved into a new house and we are slowly getting things to brighten up the walls and I found the perfect one for our bedroom. There are so many different designs to chose from that there will be one for everyone and then there are also so many different swatches for the background. Take a peek here at some of their gorgeous designs. The design I went for was Love In The Air which is two giraffes. The reason I went for this one is because I LOVE giraffes, they are my favourite animal, and I thought the design with the heart in the middle would be lovely for our bedroom. Then to decide on the swatch. This took some time as they are all beautiful and I wanted to find one that would go with our bedroom colours. The swatch I decided on was Fab in Floral (Mint) as this was the one I knew would look perfect in our bedroom. It arrived a few days later and it is stunning! It came straight out of the box, onto the wall in our bedroom and fits in perfectly. The concept of it is so simple yet so brilliant that it looks a million dollars on the wall. You also get the option to personalise it and I went for our wedding date in the corner. The service I received was brilliant and it was delivered in mega quick time. If you want to treat yourself or have a gift to buy I would totally recommend one of these are the are beaustiful and the personalision makes it that bit more special. Prices start at just £18.50.